Acute diarrhea or gastroenteritis is the passage of loose stools more frequently than what is normal often associated with, abdominal cramps and bloating. Diarrhea is mainly caused by bacterial and viral infections and food poisoning and can also be caused by bacteria or viruses that have been transmitted from person to person. For this reason, it is important to wash your hands with soap and water after using the toilet. Diarrhea occurs when the micro-organisms irritate the mucous membrane of the small or large intestine resulting in an abnormally large quantity of water in the motions. The irritated gut becomes very active, contracting excessively and irregularly (colic). This can be accompanied by nausea, vomiting, and cold sweats. In some cases the motions may include some blood. Food poisoning - Certain bacteria (usually staphylococci) irritate the digestive tract by producing toxins which affect the mucous membrane much sooner, a few hours after consumption, compared with bacterial infection. Many people suffer diarrhea after the antibiotic course has finished because the antibiotic alters the intestinal bacterial environment. It is not an allergic reaction. Chronic diarrhea ( If the diarrhea lasts for more than three weeks). Chronic diarrhea can be a symptom of many disorders such as--irritable bowel syndrome, acute, recurrent or chronic intestinal infections, chronic intestinal inflammation (ulcerative colitis and Crohn's disease),chronic pancreatitis, which produces fatty stools, laxatives, lactose intolerance, improper diet (consumption of too much alcohol, coffee or sweets), metabolic disorders such as diabetes and thyrotoxicosis and intolerance to gluten (wheat protein). Pus in the motions (yellow mucus). Inability to drink liquids because of vomiting. Dehydration - symptoms include excreting small amounts of dark urine, drowsiness, dry mucous membranes and thirst. Dehydration as a result of diarrhea is a particular risk for young children and the elderly. Pronounced drowsiness due to dehydration or intoxication. Acute diarrhea in very old people. What can be done at home? In cases of acute diarrhea it would be wise to drink more fluids (3-4 liters a day), preferably containing sugar and salts. Ready made ORS sachets can be bought from the pharmacist. A sufficient intake has been obtained when the urine becomes light yellow in color. Maintain good standards of hygiene. Eat normally as soon as your appetite returns but if you have suffered an acute attack of diarrhea; avoid foods containing milk for a couple of days. 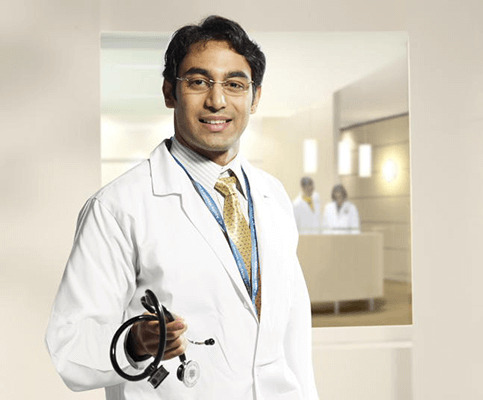 When should the doctor be consulted? When one of the warning signs outlined above is present. When the diarrhea has occurred during or following a trip abroad - travellers' diarrhea. When the diarrhea has lasted more than one to two weeks. Diarrhea can usually be treated safely 'at home' and normally goes away by itself within a week. Treatment with antibiotics is therefore rarely needed, and may cause side effects, such as chronic diarrhea. Antidiarrhoeal agents, such as loperamide (eg Imodium), may be used, except in cases where there is blood or pus in the motions or if the diarrhea is accompanied by high fever. During visits abroad, boil all drinking water, or drink water from sealed bottles only. In addition, you should only eat vegetables that have been boiled or peeled and avoid ice-cream and salads (which may have been washed with unclean water). Washing hands frequently with water, when caring for a patient with diarrhea as also always before eating is important. Proper storage of food and water is also important to prevent harmful bacteria from contaminating them. Dengue fever and dengue hemorrhagic fever (DHF) are acute febrile diseases caused by a family of viruses that are transmitted by mosquitoes. It is an acute illness of sudden onset that usually follows a benign course with headache, fever, exhaustion, severe joint and muscle pain, swollen glands and rash. Dengue strikes people with low levels of immunity. Dengue hemorrhagic fever is a more severe form of the viral illness. Manifestations include headache, fever, rash, and evidence of hemorrhage in the body. Bleeding in the nose or gums, black stools, or easy bruising are all possible signs of hemorrhage. This form of dengue fever can be life-threatening or even fatal. After being bitten by a mosquito carrying the virus, the incubation period ranges from three to 15 (usually five to eight) days before the signs and symptoms of dengue appear. This infectious disease is manifested by a sudden onset of fever, with severe headache, muscle and joint pains and rashes. The dengue rash is characteristically bright red petechia and usually appears first on the lower limbs and the chest - in some patients, it spreads to cover most of the body. There may also be gastritis with some combination of associated abdominal pain, nausea, vomiting or diarrhea. The glands (lymph nodes) in the neck and groin are often swollen. Some cases develop much milder symptoms which can, when no rash is present, be misdiagnosed as influenza or other viral infection. Patients with dengue can only pass on the infection through mosquitoes or blood products while they are still febrile. The classic dengue fever lasts about six to seven days, with a smaller peak of fever at the trailing end of the disease (the so-called "biphasic pattern"). Clinically, the platelet count will drop until the patient's temperature is normal. Cases of DHF also show higher fever, haemorrhagic phenomena, thrombocytopenia & haemoconcentration. A small proportion of cases lead to dengue shock syndrome (DSS) which has a high mortality rate. The diagnosis of dengue is usually made clinically. The classic picture is high fever with no localising source of infection, a petechial rash with thrombocytopenia and relative leukopenia. Cold, clammy skin and restlessness. Serology and PCR (polymerase chain reaction) studies are available to confirm the diagnosis of dengue if clinically indicated. The virus is contracted from the bite of a striped Aedes aegypti mosquito (which feeds during the day) that has previously bitten an infected person. One mosquito bite can inflict the disease. The virus is not contagious and cannot be spread directly from person to person. There must be a person-tomosquito- toanother- person pathway. The transmission of the virus to mosquitoes must be interrupted to prevent the illness. Patients are kept under mosquito netting until the second bout of fever is over and they are no longer contagious. The prevention of dengue requires control or eradication of the mosquitoes carrying the virus that causes dengue. Wear long pants and long sleeves. For personal protection, use mosquito repellant sprays that contain DEET when visiting places where dengue is endemic. Limiting exposure to mosquitoes by avoiding standing water and staying indoors two hours before sunrise and sunset will help. There is currently no vaccine available for dengue fever. There is a vaccine undergoing clinical trials, but it is too early to tell if it will be safe or effective. The mainstay of treatment is supportive therapy. Increased oral fluid intake is recommended to prevent dehydration. Supplementation with intravenous fluids may be necessary to prevent dehydration and significant concentration of the blood if the patient is unable to maintain oral intake. A platelet transfusion is indicated in rare cases if the platelet level drops significantly (below 20,000) or if there is significant bleeding. The presence of melena may indicate internal gastrointestinal bleeding requiring platelet and/or red blood cell transfusion. It is very important to avoid aspirin and non-steroidal antiinflammatory medications. These drugs are often used to treat pain and fever though in this case they may actually aggravate the bleeding tendency associated with some of these infections. Patients should receive, instead acetaminophen preparations to deal with these symptoms if dengue is suspected. Diabetes is a condition in which the body doesn't produce or properly use insulin or both. This causes sugars to build up too high in your blood. Type 1 diabetes usually occurs in children and young adults. In this the pancreas makes little or no insulin. Type 2 diabetes is the most common form in adults. It develops when the body doesn’t make enough insulin and doesn’t efficiently use the insulin it makes (insulin resistance). Frequent urination, excessive thirst, extreme hunger ,unusual weight loss, increased fatigue, irritability and blurring of vision. What is the connection between diabetes, heart disease, and stroke? If you have diabetes, you are at least twice as likely as someone who does not have diabetes to have heart disease or a stroke. People with diabetes also tend to develop heart disease or have strokes at an earlier age than other people. Eating sweets or the wrong kind of food does not cause diabetes. However, it may cause obesity and this is associated with people developing Type 2 diabetes. Stress does not cause diabetes, although it may be a trigger for the body turning on itself as in the case of Type 1 diabetes. It does, however, make the symptoms worse for those who already have diabetes. Diabetes is not contagious. Someone with diabetes cannot pass it on to anyone else. Neuropathy (Nerve disease) --Pain is the chief symptom and tends to worsen at night when the person is at rest. It is usually relieved by activity and aggravated by cold. Retinopathy (Eye disease)-It may lead to loss of vision. Arteriosclerosis (Vessel disease)-It is the leading cause of death among diabetics. There is absence of peripheral pulses in the lower legs and feet and gangrene, and ultimately lead to amputation of the extremity. Diabetic gangrene usually involves the toes, heels or other prominent parts of the feet and is precipitated by trauma, infection or extremes in temperature. Hypoglycemia- If there is too much insulin in the body compared to the amount of blood sugar, and the blood sugar falls below normal levels, hypoglycemia occurs. If too much insulin is administered, or the person misses a meal or over-exercises, then also hypoglycemia may result. The brain is deprived of an essential energy source. The first sign is mild hunger, quickly followed by dizziness, sweating, palpitations, mental confusion and eventual loss of consciousness. Before the condition reaches emergency proportions, most diabetics learn to counteract the symptoms by eating a sweet or drinking a glass of orange juice. In some cases, the only effective measure is an intravenous injection of glucose. Digestive Disorders-Like ulcers, diverticulitis, symptoms of irritable bowel syndrome, abdominal pain, constipation, diarrhea and gallstones may occur. Oral Complications Periodontal disease, which can lead to tooth loss is common. Infections- Asymptomatic bacteriuria, lower extremity infections, reactivation tuberculosis, infections in surgical wounds and group B streptococcal infection etc. Complications of Pregnancy- Major congenital malformations in babies are common. Ketoacidosis- Ketone formation can directly cause an acute life threatening event, a diabetic coma. Alcohol. Even a small amount of alcohol can cause your sugar levels to fall too low. So a healthy diet, exercise and normal weight are important for you. Insulin is drug of choice which is injected using a syringe or an insulin pen injector or an insulin pump, which provides a continuous supply of insulin, eliminating the need for daily shots. The most widely used form of insulin is synthetic human insulin, and newer types of insulin, known as insulin analogs, more closely resemble the way natural insulin acts in your body. We, Indians are prone to Diabetes because of central / abdominal obesity. Even normal weight Indians may have large waist circumference making them more prone to become diabetic. Our motto should be..." To have healthy diet and healthy lifestyle so that we can manage diabetes well." Malaria is a vector-borne infectious disease caused by protozoan parasites. The disease is caused by protozoan parasites of the genus Plasmodium. The most serious forms of the disease are caused by Plasmodium falciparum and Plasmodium vivax, but other related species (Plasmodium ovale, Plasmodium malariae, and sometimes Plasmodium knowlesi) can also infect humans. This group of humanpathogenic Plasmodium species is usually referred to as malaria parasites. Malaria parasites are transmitted by female Anopheles mosquitoes. The parasites multiply within red blood cells, causing symptoms that include symptoms of anemia (light headedness, shortness of breath, tachycardia etc. ), as well as other general symptoms such as fever, chills, nausea, flu-like illness, and in severe cases, coma and death. Infection begins with a bite from an infected mosquito. he parasite travels from the mosquito to your liver, where the parasite begins to reproduce. If another mosquito bites an infected person, that mosquito can then carry the infection to someone else. High fever, body aches, headache, nausea, shaking chills (rigors), sweating, weakness, splenomegaly (enlarged spleen), cerebral ischemia, hepatomegaly (enlarged liver), hypoglycemia, and hemoglobinuria with renal failure may occur. Renal failure may cause blackwater fever, where hemoglobin from lysed red blood cells leaks into the urine. Avoid exposure to mosquito’s during the early morning and early evening hours (the hours of greatest mosquito activity). Wear appropriate clothing (long-sleeved shirts and long pants, for examples) especially when you are outdoors. Apply insect repellent to the exposed skin. Spray mosquito repellents on clothing to prevent mosquitoes from biting through thin clothing. Use a mosquito net over your bed. Have screens over windows and doors. Spray insecticide in the bedroom before going to bed. Although some are under development, no vaccine is currently available for malaria; preventative drugs must be taken continuously to reduce the risk of infection. Malaria infections are treated through the use of antimalarial drugs, such as quinine or artemisinin derivatives, although drug resistance is increasingly common. Drink lots of fluids and do not become dehydrated. Pneumonia is an infection of one or both lungs which is usually caused by bacteria, viruses, or fungi and contracted by breathing in small droplets that contain the organisms that can cause pneumonia. These droplets get into the air when a person infected with these germs coughs or sneezes. People with recent viral infections, lung disease, heart disease, and swallowing problems, as well as alcoholics, drug users, and those who have suffered a stroke or seizure are at higher risk for developing pneumonia than the general population. Once organisms enter the lungs, they usually settle in the air sacs of the lung where they rapidly grow in number. This area of the lung then becomes filled with fluid and pus as the body attempts to fight off the infection. Most people who develop pneumonia initially have symptoms of a cold which are then followed by a high fever (sometimes as high as 104 degrees Fahrenheit), shaking chills, and a cough with sputum production. The sputum is usually discolored and sometimes bloody. Patients may become short of breath. Chest pain may develop if the outer aspects of the lung are involved. This pain is usually sharp and worsens when taking a deep breath. At times, the individual's skin color may change and become dusky or purplish (a condition known as "cyanosis") due to their blood being poorly oxygenated. Children and babies who develop pneumonia often do not have any specific signs of a chest infection, but develop a fever, appear quite ill, and can become lethargic. Elderly people may also have few symptoms with pneumonia. A chest x-ray is usually ordered to confirm the diagnosis of pneumonia. Sputum samples can be collected and examined under the microscope. A blood test that measures white blood cell count (WBC) may be performed. An individual's white blood cell count can often give a hint as to the severity of the pneumonia and whether it is caused by bacteria or a virus. Bronchoscopy is a procedure in which a thin, flexible, lighted viewing tube is inserted into the nose or mouth after a local anesthetic is administered. The breathing passages can then be directly examined by the doctor, and specimens from the infected part of the lung can be obtained. Sometimes, fluid collects in the pleural space around the lung as a result of the inflammation from pneumonia. This fluid is called a pleural effusion. If the amount of this fluid that develops is large enough, it can be removed by inserting a needle into the chest cavity and withdrawing the fluid with a syringe in a procedure called a thoracentesis. The most common is a bacterial pneumonia where there is usually an abrupt onset of the illness with shaking chills, fever, and production of a rust-colored sputum. A vaccine (Pneumovax) is available and is recommended for the elderly, infants, people who have diabetes, chronic heart, lung, or kidney disease, those with alcoholism, cigarette smokers, and in those persons who have had their spleen removed. Antibiotics often used in the treatment of bacterial pneumonia include Penicillin,Amoxycillin, Augmentin, erythromycin, azithromycin and clarithromycin. Legionnaire's disease is caused by the bacterium and is most often found in contaminated water supplies and air conditioners. It is a potentially fatal infection if not accurately diagnosed. Pneumonia is part of the overall infection, and symptoms include high fever, a relatively slow heart rate, diarrhea, nausea, vomiting, and chest pain. Older men, smokers, and people whose immune systems are suppressed are at higher risk of de v e loping Legionna i r e ' s di s e a s e . Fluoroquinolones are the treatment of choice in this infection. Viral pneumonias do not typically respond to antibiotic treatment. These pneumonias usually resolve over time with the body's immune system fighting off the infection. It is important to make sure that a bacterial pneumonia does not secondarily develop. If it does, then the bacterial pneumonia is treated with appropriate antibiotics. Fungal infections can lead to pneumonia .Each fungus has specific antibiotic treatments, among which are amphotericin B, fluconazole (Diflucan), penicillin, and sulfonamides. Pneumonia can be a serious and life-threatening infection. This is true especially in the elderly, children, and those that have other serious medical problems, such as COPD, heart disease, diabetes, and certain cancers. Fortunately, with the discovery of many potent antibiotics, most cases of pneumonia can be successfully treated. In fact, pneumonia can usually be treated with oral antibiotics without the need for hospitalization. Tuberculosis (TB) is an infectious disease caused by bacteria Mycobacterium tuberculosis. TB most commonly affects the lungs but also can involve almost any organ of the body. Today, tuberculosis usually can be treated successfully. There is also a group of organisms referred to as atypical tuberculosis which do not cause disease and are referred to as "colonizers," because they simply live alongside other bacteria in our bodies without causing damage. At times, these bacteria can cause an infection that sometimes appears as typical tuberculosis. How does a person get tb? A person can become infected with tuberculosis bacteria when he or she inhales minute particles of infected sputum from the air. The bacteria get into the air when someone who has a tuberculosis lung infection coughs, sneezes, shouts, or spits (which is common in some cultures). People who are nearby can then possibly breathe the bacteria into their lungs. You don't get TB by just touching the clothes or shaking the hands of someone who is infected. Tuberculosis is spread (transmitted) primarily from person to person by breathing infected air during close contact. There is a form of tuberculosis, however, that is transmitted by drinking unpasteurized milk caused by Mycobacterium bovis. Previously, this bacterium was a major cause of TB in children, but it rarely causes TB now since most milk is pasteurized (a heating process that kills the bacteria). What happens to the body when a person gets tb? When the inhaled tuberculosis bacteria enter the lungs, they can multiply and cause a local lung infection (pneumonia). The local lymph nodes associated with the lungs may also become involved with the infection and usually become enlarged. In addition, TB can spread to other parts of the body. The body's immune (defense) system, however, can fight off the infection and stop the bacteria from spreading. The immune system does so ultimately by forming scar tissue (fibrosis) around the TB bacteria and isolating it from the rest of the body and the infection is contained in an inactive state. Such an individual typically has no symptoms and cannot spread TB to other people. The scar tissue and lymph nodes may eventually harden, like stone, due to the process of calcification of the scars (deposition of calcium from the bloodstream in the scar tissue). Sometimes, however, the body's immune system becomes weakened and the TB bacteria break through the scar tissue. For example, the immune system can be weakened by old age, the development of another infection or a cancer, or certain medications such as cortisone, anti-cancer drugs, or certain medications used to treat arthritis or inflammatory bowel disease. The breakthrough of bacteria can result in a recurrence of the pneumonia and a spread of TB to other locations in the body. The kidneys, bone, and lining of the brain and spinal cord (meninges) are the most common sites affected by the spread of TB beyond the lungs. There is no strong evidence for a genetically determined (inherited) susceptibility for TB. How does a doctor diagnose tuberculosis? TB can be diagnosed in several different ways, including chest X-rays, analysis of sputum, and skin tests. The chest x-rays can reveal evidence of active tuberculosis pneumonia or may show scarring (fibrosis) or hardening (calcification) in the lungs. Examination of the sputum on a slide (smear) under the microscope can show the presence of the tuberculosis bacteria. A sample of the sputum can also be grown (cultured) in special incubators so that the tuberculosis bacteria can subsequently be identified. The organism can take up to six weeks to grow in culture in the microbiology lab. Several types of skin tests are used to screen for TB. These socalled tuberculin skin tests include the Mantoux test and the PPD (purified protein derivative) test. In each of these tests, a small amount of purified extract from dead tuberculosis bacteria is injected under the skin. If a person is not infected with TB, then no reaction will occur at the site of the injection (a negative skin test). If a person is infected with tuberculosis, however, a raised and reddened area will occur around the site of the test injection. This reaction, a positive skin test, occurs about 48 to 72 hours after the injection. If the infection with tuberculosis has occurred recently, however, the skin test can be falsely negative. The reason for a false negative test with a recent infection is that it usually takes 2 to 10 weeks after the time of infection with tuberculosis before the skin test becomes positive. The skin test can also be falsely negative if a person's immune system is weakened or deficient due to another illness such as AIDS or cancer, or while taking medications that can suppress the immune response, such as cortisone or anti-cancer drugs. The special test detects the genetic material of the bacteria, called the PCR (polymerase chain reaction). This test is extremely sensitive (it detects minute amounts of the bacteria) and specific (it detects only the TB bacteria). One can usually get results from the PCR test within a few days. A person with a positive skin test, a normal chest x-ray, and no symptoms most likely has only a few TB germs in an inactive state and is not contagious. Nevertheless, treatment may be recommended for this person to prevent the TB from turning into an active infection. Is HIV/aids associated with tuberculosis? Because of HIV, a tremendous increase in the frequency (incidence) of TB occurred in the '80s and throughout the '90s. This increase in TB happened because suppression of the body's immune (defense) system by HIV allowed TB to occur as a so-called opportunistic infection. Hopefully, control of HIV in the future will check this resurgence of tuberculosis. Yes. The most important step is to find, isolate and treat all disease carriers until they are no longer an infective risk to others. Make sure that you eat well and enjoy plenty of sunlight and exercise It is always advisable not to get too close to people who are coughing; equally, people with a cough should be aware of those around them and try not to cough near them. Seek medical attention if you develop a cough that persists for more than three weeks. What Is Typhoid (Enteric) Fever? Typhoid Fever is an acute illness associated with diarrhea, systemic disease, fever and rash caused by the Salmonellae typhi bacteria. Typhoid Fever is contracted by the ingestion of the bacteria in contaminated food or water. Patients with acute illness can contaminate the surrounding water supply through the stool, which contains a high concentration of the bacteria. The bacteria multiply in the gallbladder, bile ducts, or liver and passes into the bowel. The bacteria can survive for weeks in water or dried sewage. Following ingestion, the bacteria spread from the intestine via the bloodstream to the intestinal lymph nodes, liver, and spleen via the blood where they multiply. Salmonella may directly infect the gallbladder through the hepatic duct or spread to other areas of the body through the bloodstream. The incubation period is usually 1-2 weeks and the duration of the illness is about 4-6 weeks. Early symptoms are generalized and include fever, malaise and abdominal pain. As the disease progresses, the fever becomes higher (greater than 103 degrees Fahrenheit), and diarrhea becomes prominent. Weakness, profound fatigue, delirium, and an acutely ill appearance develop. A rash, characteristic only of typhoid and called "rose spots," appears in some cases of typhoid. Rose spots are small (1/4 inch) red spots that appear most often on the abdomen and chest.Chest congestion, abdominal pain and discomfort are common. The fever becomes constant. Improvement occurs in the third and fourth week in those without complications. There is a chance of recurrent symptoms (relapse) after feeling better for one to two weeks. Relapses are actually more common in individuals treated with antibiotics.Typically, children have milder disease and fewer complications than adults. Intravenous fluids and electrolytes may be given. Appropriate antibiotics aregiven to kill the bacteria. There are increasing rates of antibiotic resistance throughout the world, so the choice of antibiotics should be a careful one. The illness usually resolves in 2 to 4 weeks with treatment. The outcome is likely to be good with early treatment, but becomes poor if complications develop. Cases in children are milder, and are more debilitating in the elderly. Relapse may occur if the treatment has not fully eradicated the infection. Vaccines are recommended during epidemic outbreaks. Immunization is not always completely effective and at-risk travelers should drink only boiled or bottled water and eat well cooked food. Experimentation with an oral live attenuated typhoid vaccine is now underway and appears promising. Adequate water treatment, waste disposal, and protection of food supply from contamination are important public health measures. Carriers of typhoid must not be allowed to work as food handlers.